Cape Town, 9 May 2016: South African winemakers and viticulturists are increasingly committed to a holistic winegrowing approach: nurturing the soil, respecting the ecosystem and working with nature to reduce effects on the Cape Floral Kingdom, the smallest yet richest plant kingdom on earth which boasts an astounding biodiversity of plant and animal life. According to Wines of South Africa (WOSA), producers are extremely conservation conscious. In just over a decade, they have set aside nearly 144 000 hectares as conservation land, and committed to restoring it back to its original pristine nature. Guidelines on sustainability were introduced as early as 1998 with over 95% of the growers and cellars stick to the guidelines. Since 1974, the Wine of Origin scheme guarantees the information on the label that states where the grapes came from, the vintage year and the variety or varieties. Boschendal was recently awarded the WWF Conservation Champion status, presented to South African wine farms that are committed to addressing environmental concerns and meet a set of rigorous conservation criteria. These include demonstration of exceptional environmental commitment and leadership, and a comprehensive eco-friendly management plan with detailed targets to encourage continuous improvement. The clearing of more than 500 hectares of alien vegetation at Boschendal has had a significant and positive impact on the birdlife, the free movement of wildlife and most noticeably on the flow of the small rivers that are fed by the mountains. 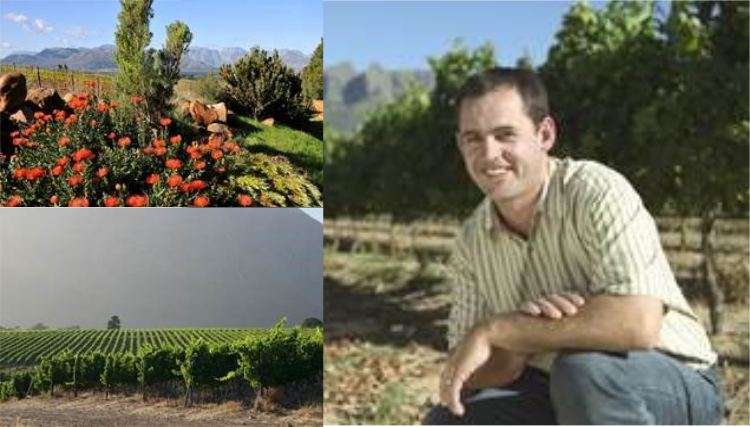 ‘’Four big streams now flow all year round; before we cleared the alien vegetation they were dry for most of the summer months,’’ says Andre Lambrechts who has been the driving force behind the successful clearing operations at Boschendal. Minimal integrated pest management also encourages natural control. “We are committed to preserving South Africa’s diversity of soils, climate and geography which creates a treasure trove of winemaking possibilities. 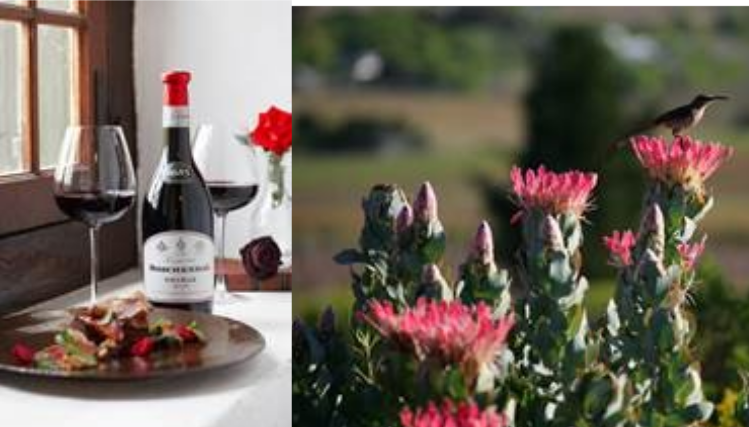 It is enlightening to see that there is an increasing trend among South African wine producers to preserve the fynbos and renosterveld (indigenous vegetation) of the Cape Floral Kingdom, and minimise the further loss of the threatened natural habitat,” he concluded. One of the most established and iconic wine estates in Stellenbosch, Boschendal has reinvented itself to appeal to a new generation of wine lovers. The estate has a farm-to-table approach to wine which encourages visitors to understand the origin of the wine, the winemaking process and taste the terroir in each glass. Boschendal’s young winemakers are driving change by experimenting creatively while preserving traditional winemaking techniques to produce premium wines, such as the limited release Vin de Memoire Chardonnay and a range of contemporary wines, served exclusively at the Werf Restaurant. While Boschendal exports to over 50 countries, the winemaking team endeavours to entice the palates of both international and local wine lovers with modern wines and welcomes all visitors to explore the farm, which has undergone a true metamorphosis with the addition of farm-to-table dining options, an abundant five-acre food garden and the philosophy of working sustainably with nature to produce real food.